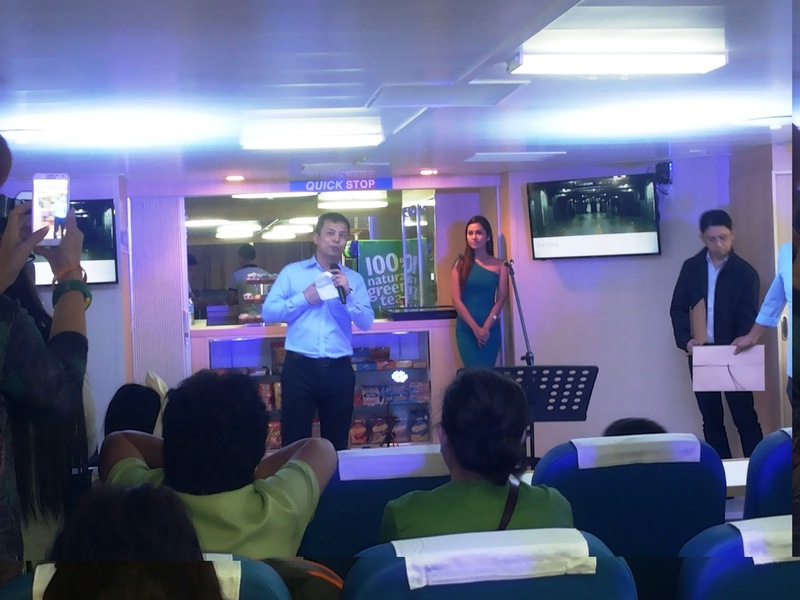 The launching of M/V Starlite Saturn happened on Monday, August 8, 2016 at the Batangas City port. 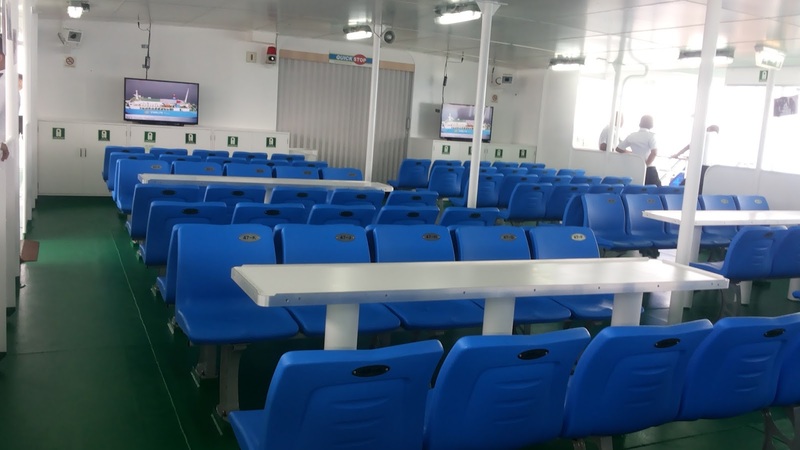 This is the fourth brand new RORO (roll-on, roll-off) vessel of the Starlite Ferries Inc. 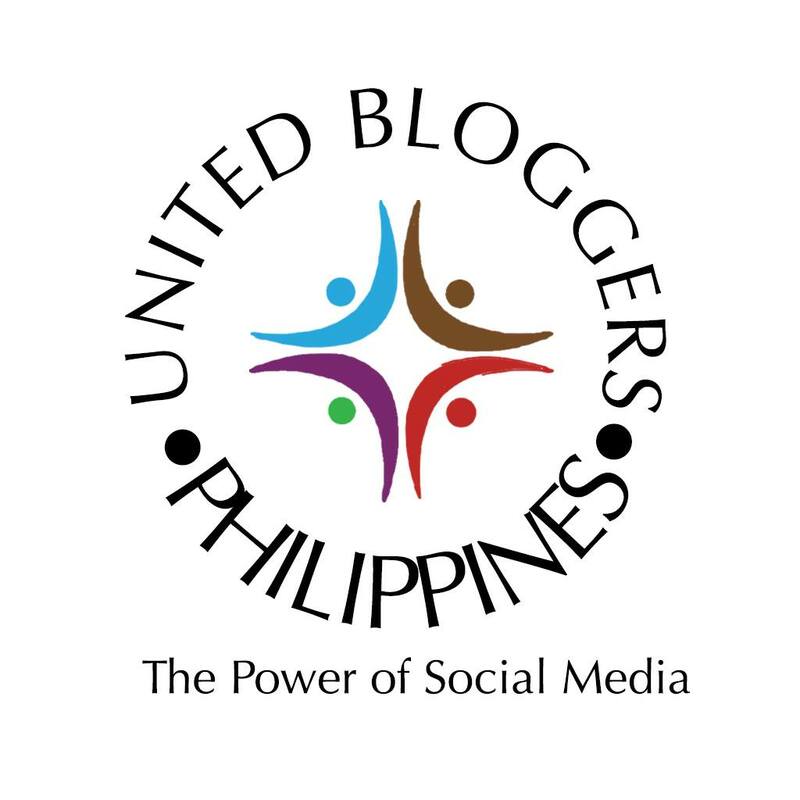 This marks yet another milestone in the company's continuing effort to modernize inter-island travel in the country. 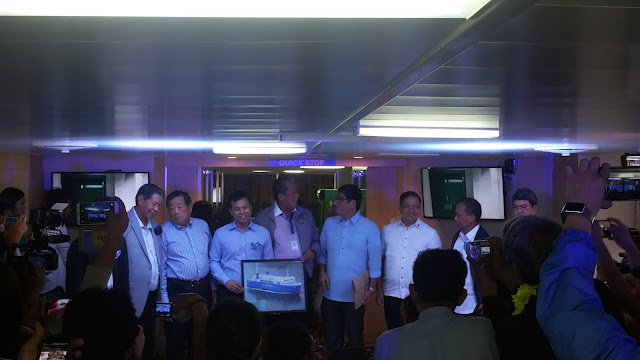 The newest addition to the Starlite fleet - the president of the company, Mr. Francis Cusi, said they have ordered an initial seven ships from Japan, with eight more to be custom-built later for a total of 15 brand-new RORO vessels - follows the customized design of the three earlier ones. M/V Starlite Saturn has a service speed of 13.5 knots or nautical miles per hour. It has rounded hull that rests deeper in the water fro greater stability, bow thruster for vessel assistive maneuverability and a bulbous bow that allows it to cut through waves more efficiently. The 2,700 gross ton ship can ferry 711 passengers and 20 drivers in bunk comfortable on its upper decks and up to 21 buses in its hold. Unlike the second-hand ships now plying Philippines seas which were built for sailing in Japan's calm inland seas, Starlite Saturn and other vessels in the Batangas-based shipping company's fleet are designed to navigate the country's open sea routes and seasonal rough waters. Fact is that most of the 70-odd ROROs now operating in the country were brought from Japan where shipping laws require that after 20 years, they will have to decommissioned or sold abroad. This aging fleet of inter-island ships has caused many maritime accidents over the years. 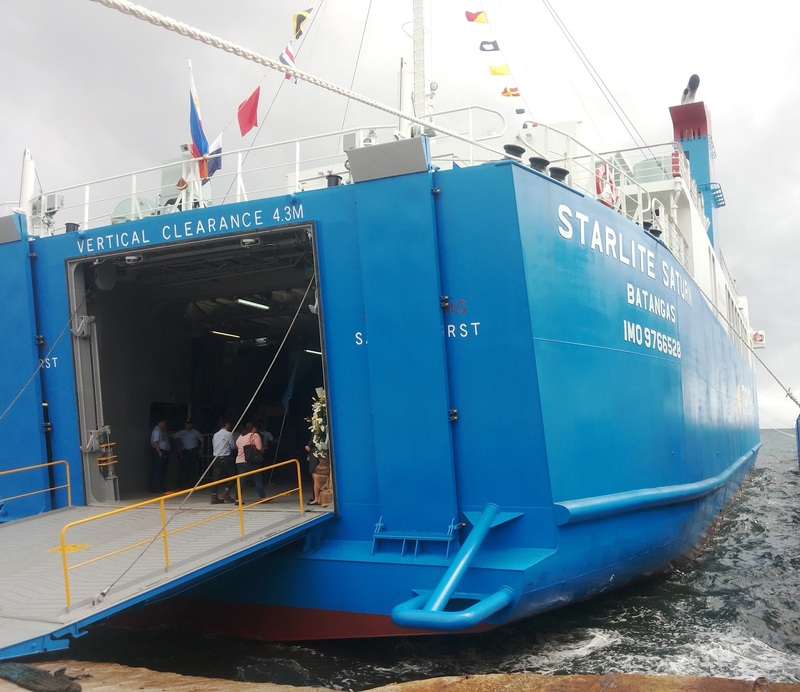 Now, the Starlite Ferries Inc. is creating world-class standards to their fleet to ensure the safety and convenience of the passengers.